A couple of months ago we did our first trip as a family since Evangeline was born. She was almost six months, and I was SO nervous about traveling with a baby. I was so thankful to my IG family for giving me so many useful tips on what to bring and almost just as important – what not to bring. The last thing you want to do while traveling with a baby is to have your hands completely full with unnecessary baby gear. I have definitely learned from experience that the less “stuff” you need to drag around with you, the better! 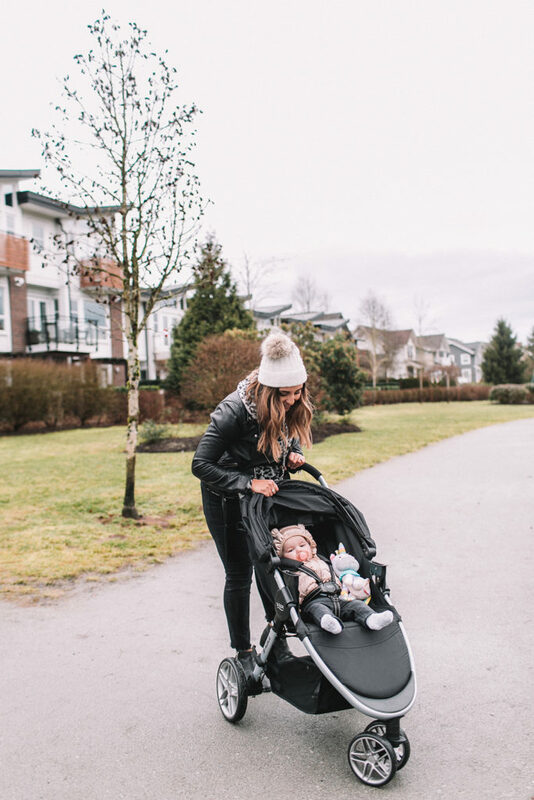 I was really excited when Babies ‘R’ Us Canada contacted me about reviewing the Britax B-Agile & B-Safe 35 Travel System, Dual Comfort Collection.. I really wish I had this stroller for when we traveled to Hawaii, but I’ll be sure to use it for all my future travels! 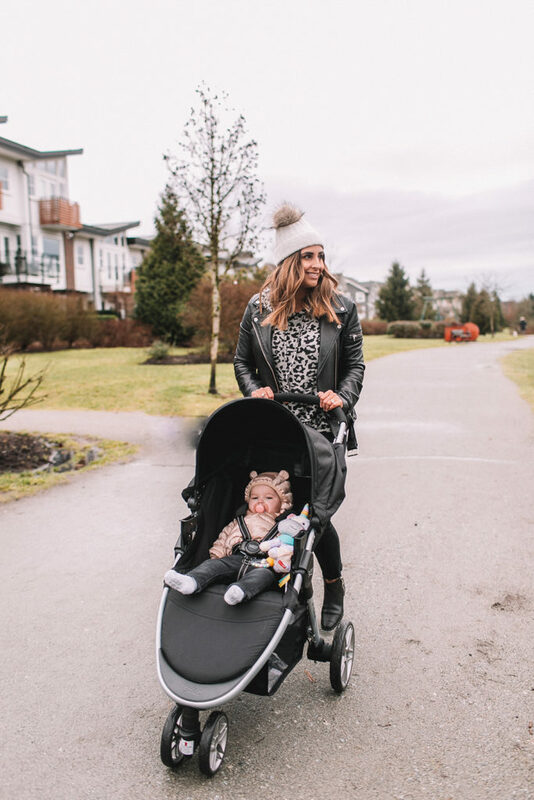 The stroller comes with a car seat that attaches directly to the stroller (making it a Travel System!). For all you moms out there- you know how important this is! The car seat has dual comfort – cool, dry and comfortable! The moisture wicking fabric absorbs moisture 25% faster which is perfect for all those unexpected spills, and not so favourable weather conditions. 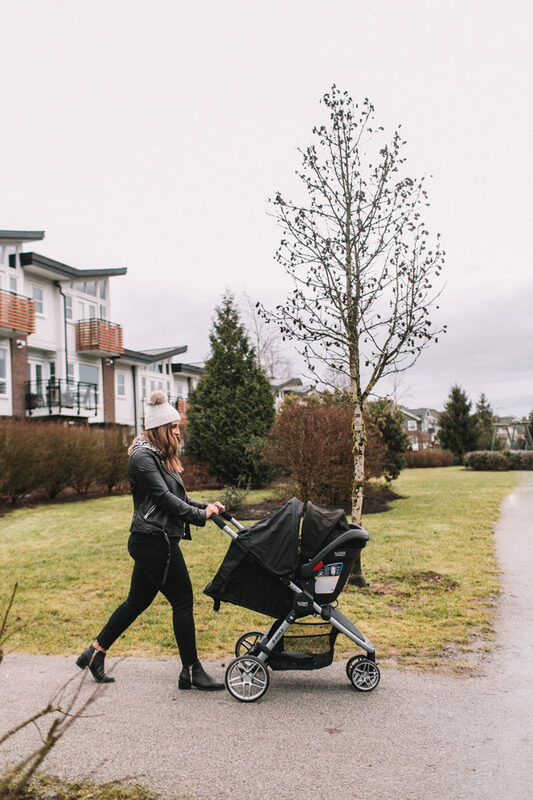 The stroller includes a child tray for your kids to put their snacks or toys on. It is easy to assemble and very light to carry. It is VERY affordable, you can purchase the Travel System for $549.99 at Babies ‘R’ Us Canada. As I mentioned, because this is a travel system it comes with a car seat. 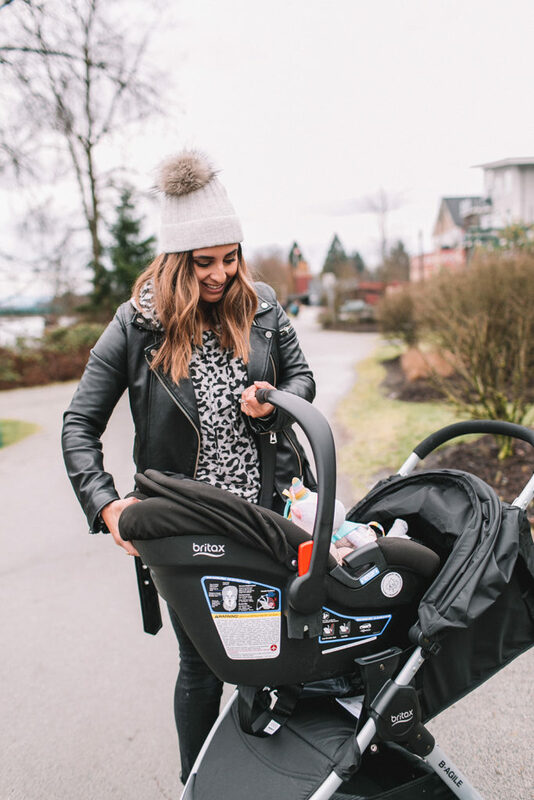 Being able to connect the B-Safe 35 Car seat to your stroller is a total game changer, especially while traveling. First off, you have one less item to carry around. And secondly, it makes it so easy getting from place to place. The last thing you want to do is wake up a sleeping baby when transferring from the car to the stroller. We’ve all been there! Safety should be the most important factor when looking into purchasing a new car seat. The SafeCell Impact Protection is an integrated system of safety components that works to protect your child beyond federal safety standards. 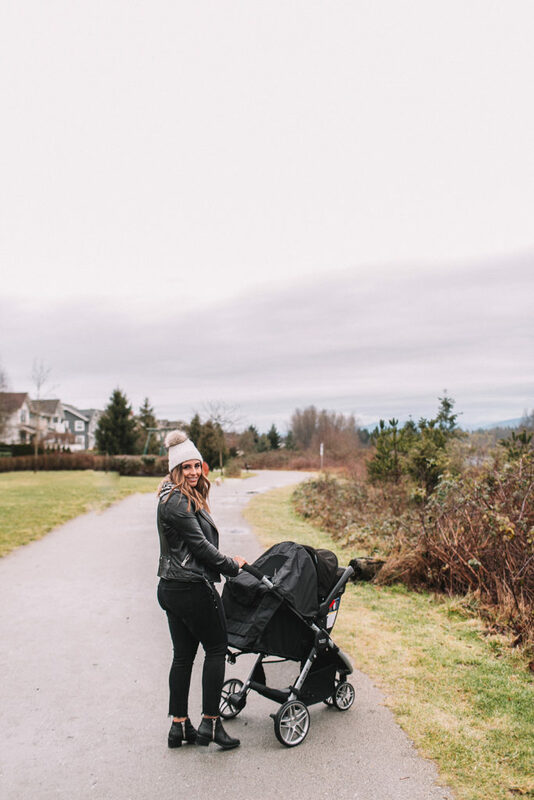 If you are looking for an affordable, safe, compact stroller, the Britax Dual Comfort Stroller and Carseat is the perfect choice. You can read more about it here.